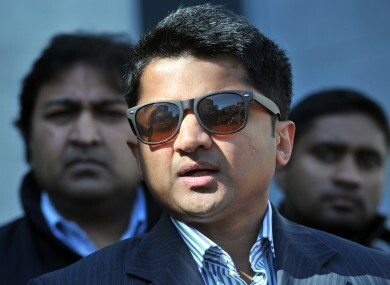 Pravenn Halappanavar pictured at the inquest into the death of his wife Savita. THE WEST/NORTH West Hospital Group pledged to review the actions of all staff members involved in the care of Savita Halappanavar who died while a patient at University Hospital Galway. A special board meeting of the group took place last night and decided that now all three reports on her death have been completed, the group’s disciplinary process will be applied. The process will include the opportunity for all staff to explain their actions and decisions taken during the care of Savita Halappanavar with the group adding that it will refer individuals to the Irish Medical Council and the Nursing and Midwifery Board if deemed appropriate. A HIQA report published last week into Savita Halappanavar’s death last year found a litany of failures during her care with 13 “missed opportunities” in her treatment that could have saved her life. We will now also implement the HIQA recommendations and the board asked that they be given a detailed update on progress at each board meeting. They also asked for an external review after 12 months of the implementation of the recommendations and, in the interests of full transparency, to make available the report from this audit at a public board meeting. The group said that many of the recommendations would have “resource implications” which needed to be calculated ahead of discussions with the HSE and the Department of Health. The group has also promised to conduct a review of its governance structures as a result of the report and will engage with HIQA on this matter. Maher also reiterated an apology to Pravenn Halappanavar and his family for the events that led to the death of Savita. “No member of staff came to work during Mrs Halappanavar’s care or any other day to do harm. However, the death of Mrs Halappanavar had a devastating effect not just on her husband, family and friends but also on many people working at UHG, ” he said. Email “Hospital group will ‘review actions of all staff’ in care of Savita”. Feedback on “Hospital group will ‘review actions of all staff’ in care of Savita”.